"Joachim B Hansen has enjoyed a magnificent season on the Challenge Tour and currently stands atop the rankings – thanks to a brace of victories. This week the Dane takes his talents onto the European Tour which he last contested at the Shot Clock Masters in June, finishing in a tie-for-12th." It's the last chance saloon for those hoping to secure an automatic berth in this year's European Ryder Cup team. At the end of this week's Made in Denmark tournament, eight golfers will have earned their place in the 12-man team for the three-day contest in France. These eight will be taken from the two qualifying tables which have been running concurrently over the past 12 months. And when the dust settles on this Danish battle, European skipper Thomas Bjorn will name his four wildcards for the match at Le Golf National. The Made in Denmark tournament is being played at Silkeborg Ry Golf Club, which is making its debut on the European Tour. Located in the north of the country, approximately 25 miles from Denmark's eastern coastline and close to the city of Aarhus, Silkeborg Ry is laid out in a stunning pine forest. Its tree-lined fairways will provide a stern test for those hoping to catch the eye of European captain, and local hero Bjorn, who was born in the town of Silkeborg. As often happens so late in the day, those with their minds set firmly on securing a Ryder Cup position usually come up short. 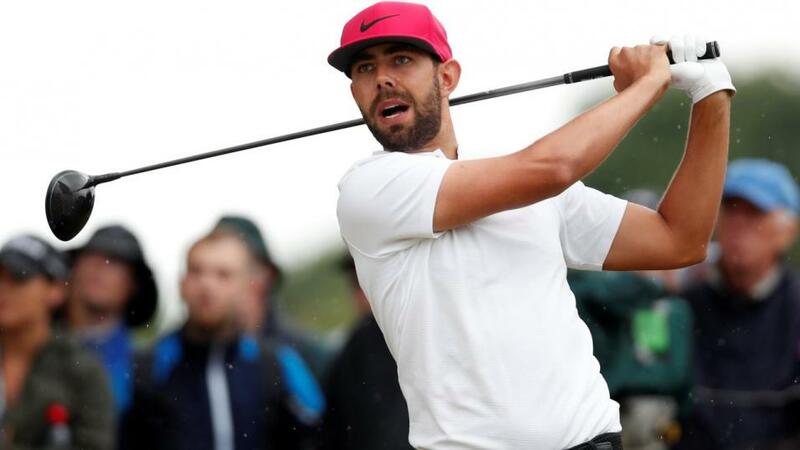 The pressures of trying to win a European Tour event is difficult enough, without the added worries of attempting to force their way into the team - whether by automatic selection or via a wild card. That said, in-form Danish player Thorbjorn Olesen might be an exception because he currently holds one of the eight spots. In his last nine events, he has finished inside the top six on five occasions, plus a tie-for-12th. Going into last week's event in the Czech Republic, the Ryder Cup focus was on Thomas Pieters and Eddie Pepperell who both played well enough to finish in a tie-for-ninth. However, when converted into money and points, it did not really assist their cause too much. The pair tee-up again this week. Joachim B Hansen has enjoyed a magnificent season on the Challenge Tour and currently stands atop the rankings - thanks to a brace of victories. This week the Dane takes his talents onto the European Tour which he last contested at the Shot Clock Masters in June, finishing in a tie-for-12th. India's Gaganjeet Bhullar continued in his rich vein of form last week, by posting a sixth straight top-12 finish. Sunday's tied-seventh came in the Czech Republic and he is now 115th in the World Ranking. Lee Slattery made it back-to-back top-10s at the weekend, while young Belgian Thomas Detry will fancy his chances of claiming a breakthrough victory on the European Tour in an event that has failed to attract a particularly strong field. With their minds not blighted by the thought of Ryder Cup points, South African duo Erik Van Rooyen and Scott Vincent will arrive on the Jutland Peninsular in confident mood. Van Rooyen has prospered on European soil during 2018 while Vincent is on a good current run, even if his five top-10s during the past 12 weeks have all come on the Asian Tour.